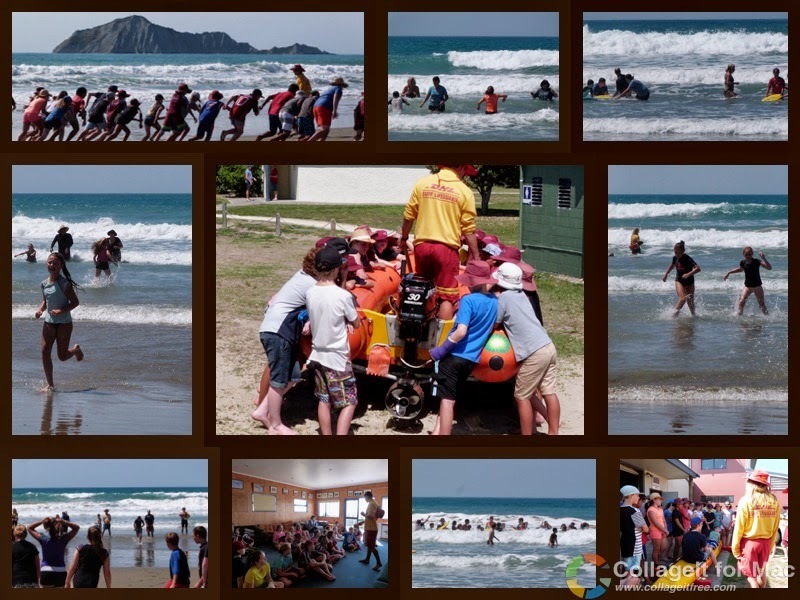 Today we traveled out to Waimarama beach for a day of instruction from the Surf Life Saving team. We couldn't have asked for a better day with temperatures forecasted to top 31degrees. The Lifeguards taught us about building our knowledge of beaches and how to keep ourselves safe. Everyone learnt new skills and had an amazing day. It was a fantastic time and it looks like we all had fun as well as the teachers and parents. I would like to give a special thank-you to Kate Kerins who took me and some others out to Waimarama. This was a awesome time. Sam, Luke and shay were amazing with all the knowledge that they knew and tought it to us kids. Thank you to all the parents that helped us to get there, also thank you for the fun time. Thank you teachers and parents especially Kate Kerins who provided transport for me and my group. An extra big thank you to the life guards Luke, Sam and Shay. Our day was filled with fun and we all learnt new things or increased our knowledge of being safe around water. I learnt that they carried pocket knives on their rescue boats incase someone was stuck in rope. I had an awesome day and I really enjoyed going out for a swim especially since it was so hot! This was a really fun day and I learnt heaps. I also had fun hanging out with everyone at the beach on such a hot day! Thanks to Mrs Hawke and Mrs Hutchins for organising everything and for all the parent helpers who gave up their time to be with us for the day and to provide transport. I really enjoyed the beach day because I learnt a lot of safety rules an I liked doing the swimming activities because we got to catch a wave on the boggy board.A special thank you to Mr Fosket for taking me in your car. What an awesome start to the year. I really liked it when we went swimming and thank you to the parents who came. I showed a lot of courage in the water. I love our day on Monday who ever didn't come they missed out of a lot of fun. It was great fun. I particularly enjoyed the swim. One thing I will remember is that you must always have an adult with you when you go swimming. i had lots of fun at the beach.